Making your own taco seasoning is super simple and tastes even better than the ones from the packet! Combine all spices with the exception of the garlic. Finely chop onion and prepare garlic for crushing. Heat oil on a med-low heat in a large frying pan. Add onion and cook until translucent. Crush garlic into fry pan and stir for a minute or so. Add your preferred meat and cook until browned. Add spices and stir for a couple of minutes until well combined. Cut up veggies to serve. 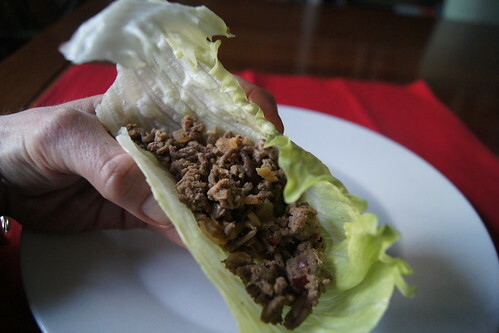 Serve in lettuce or tortilla wraps with your fave veggies and salad. I used 1kg of beef mince with these spices, so if you are cooking only 500 grams and don't like your tacos too spicy, I would recommend halving the ingredients. In a bowl combine and mix all the ingredients well. Transfer to a clean (dry) jar with airtight lid. This makes approx 1/2 cup of taco seasoning. When making tacos, add 3 tbsps of this seasoning to the meat, stir in, then add 3/4 cup of water to the meat and cook for a couple of minutes until excess liquid is simmered away. If you would like to make your own salsa, you can find my recipe for that here: Easy Salsa Recipe.